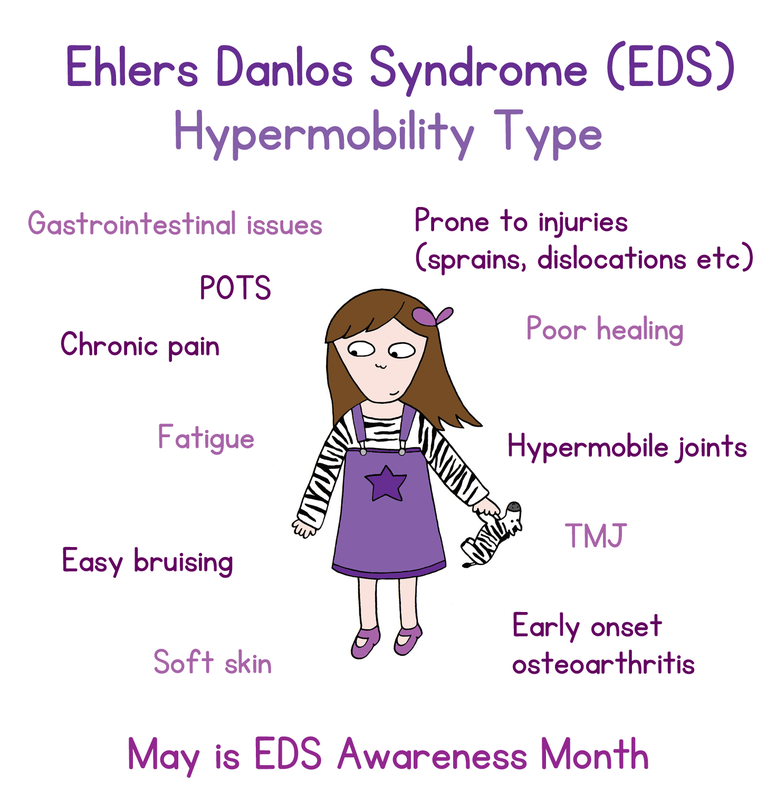 Ehlers Danlos Syndrome (EDS) is a collection of genetic connective tissue disorders which affect people in many different ways. I have Hypermobile EDS, which is closely related to the 'Hypermobility Spectrum Disorders'. Thankfully, my EDS is not severe and I do not suffer from frequent dislocations. However it still has a massive impact on my life. I had to give up full time education due to severe pain and fatigue. I have had numerous medical tests and investigations and have spent time in hospital due to pain. There is very little knowledge of EDS in Scotland, so despite having pain and other symptoms since I was a child I was not diagnosed until I was 25. I have had to travel to London to see an EDS specialist since there aren't any closer. Currently I attend physiotherapy sessions weekly, do physiotherapy at home every day and take many different medications to manage my EDS. I am on strong painkillers and am under the care of the pain clinic at my local hospital. I have pain in almost every joint of my body, widespread muscle pain, and severe nerve pain that spreads down my arms and legs as well as causing decreased sensation in my right hip. Some days I struggle to get out of bed, and I often need my awesome purple wheelchair to move around. But I get on with life as best as I can and try to make the most of the days when I'm feeling well enough to see other people and do the things I love. Drawing and editing artwork on my computer is often tricky due to the pain and wonky nerves in my wrists and hands, but I just take a rest or wear my wrist braces and carry on because I love it too much to stop! There are two charities campaigning for more awareness about EDS in the UK - the Hypermobility Syndromes Association (HMSA) and Ehlers-Danlos Support UK (EDS UK). They run support groups which are a massive help since they enable me to talk to other people with EDS and learn to understand my condition better.